The 10 Best Steakhouses in Arkansas! If you’ve ever wondered where you can find the best cuts of beef in the Natural State, then you’ve come to the right place! 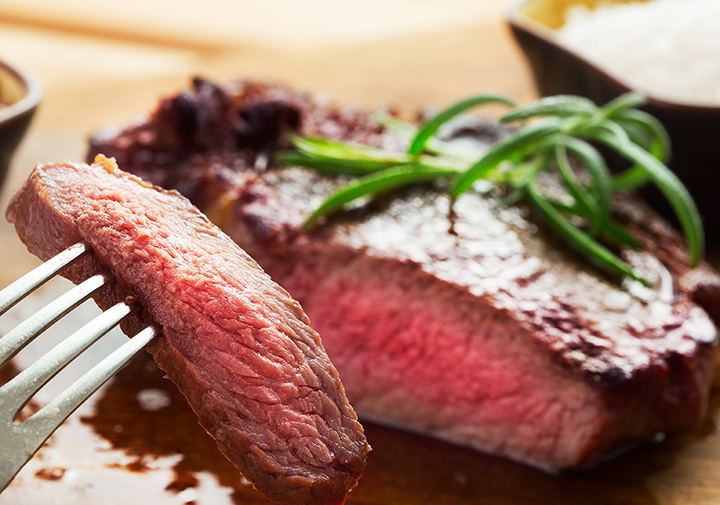 From the rare to the well-done, high-quality steaks can be found aplenty here in Arkansas. No matter if you prefer a sirloin, strip, or porterhouse, these 10 great steakhouses in the state are serving up the best. Good Lord it’s good eatin’ here at Herman’s, where they know that fun, friends, and food are what life is all about. Herman’s opened on New Year’s Day in 1964, making it the oldest continually operating restaurant in Fayetteville. Herman’s serves up some of the best meat in all of Arkansas from its well-known whitewashed building located on College. Located on Pinnacle Hills Parkway in Rogers, Ruth’s Chris may just be the king of steakhouses. It all started in May 1965 when founder Ruth Fertel bought a New Orleans restaurant called Chris Steak House. Ruth’s Chris proudly serves the highest quality USDA prime beef, which is supplied to them by nationally-recognized premium beef suppliers. It’s been said that this is the place where the best steaks in the world are served. Doe’s Eat Place is built on a foundation of tradition and Southern hospitality that many generations have grown up with. Doe’s has two great locations in Arkansas: West Dickson Street in Fayetteville and South Walton Boulevard in Bentonville. John Gaskins built a log cabin in 1864. Today, that cabin serves as the core of the Gaskins Cabin Steakhouse, where all the steaks are grilled to your desired temperature. While all of the menu items are popular, the house specialty at Gaskins is the prime rib. This tender piece of meat is seasoned and slow-roasted to perfection and then served with au jus and creamy horseradish dill sauce. Serving only the best grade of beef in the world, this Little Rock steakhouse is one of the best in the South. The selection at Arthur’s Prime Steakhouse “ranges from dry-aged prime natural beef to Australian wagyu and world-class authentic Japanese Kobe,” according to Arthur’s site. While you’re there, be sure to check out the private wine cellar vault for customers. You’ll love the fresh, hand-cut meat at this steakhouse in Rogers. After a good rub-down with Mister B’s special seasoning blend, these aged cuts of beef are then seared and finished on a flat top grill. You won’t find any skinny steaks here at Sonny Williams’ Steak Room, located in the Little Rock River Market District. This steakhouse serves only the finest steaks cut from aged angus beef that are aged anywhere from 35 to 41 days by chef Bryan Masters. Central Arkansas would love to see you at Sonny’s tonight! If you’re hungry for a wonderful meal in a great atmosphere then come on by Jerry’s Steakhouse in Trumann. Jerry’s has been a Northeast Arkansas tradition since 1981. One of the many popular features of this steakhouse happens on Thursdays when couples dining in are offered Jerry’s sirloin or ribeye Sweetheart Specials. The Butcher Shop Steakhouse features hickory charcoal grilled steaks cut from grain-fed beef from the Midwest. From the bacon-wrapped filet to the ribeye, T-bone, and porterhouse, every cut of meat at the Butcher Shop Steakhouse is tender and juicy. It’s no surprise that this steakhouse is a Central Arkansas hotspot. At Mike’s Place, they never sacrifice the quality of their food just to save a penny. All of the steaks here are Sterling Silver Premium Beef that is aged at least 21 days. One of the most popular menu items is the Arkansas-famous prime rib.